-- Procter & Gamble just released an “eight-track album” of downloadable songs, titled “The Freshness,” extolling the fragrance of its Febreze products. Febreze songs have been a staple of the brand’s social media and radio campaigns since 2015. 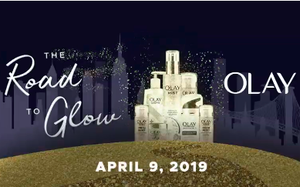 -- P&G’s Olay will mount an off-Broadway musical, “Olay Live: The Road to Glow” on April 9 at New World Stages in New York. Set in the “Land of Glow,” the Olay wonderland, the play features a heroine with dull skin named Steph and her friends, who all need the help of the Skin Advisor to enter the gates of Glow. Skin Advisor is Olay’s online platform that lets a woman have her selfie analyzed via smartphone by Olay, which then will recommend products for her to use. Fans can win tickets via a contest sponsored by P&G. Social media was the inspiration behind the Febreze album, too. P&G took notice when it began seeing comments from viewers about the need for an album to hold the best of the songs. “Febreze is taking the idea of ‘freshness’ - a topic we are very passionate about -- into the category of music, using this campaign to serve as a catalyst for ‘all things fresh,’” said Martin Hettich, vice president of P&G home care North America. Most of the original songs are nonetheless familiar-sounding, infused with lyrics that are (intentionally) hilarious.